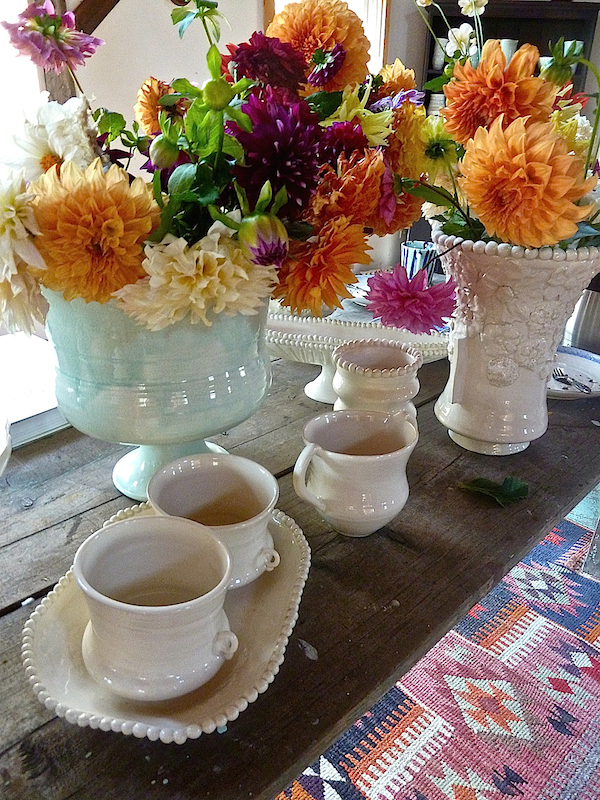 I had been a fan of Frances Palmer and her beautiful ceramics long before I started this blog. 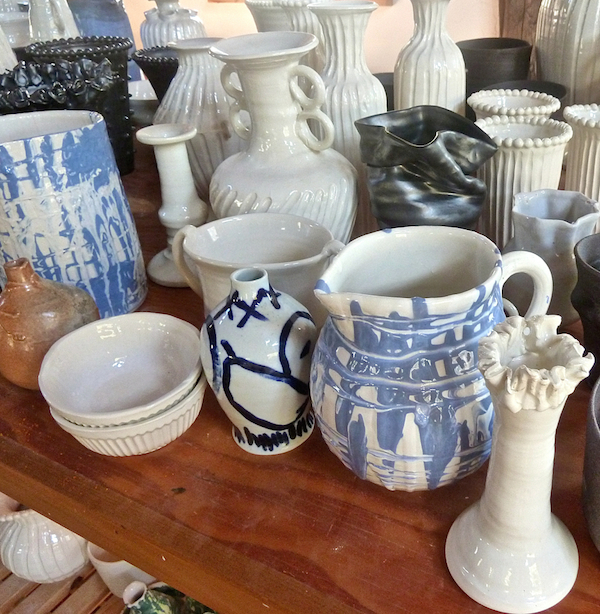 Her distinctive and artistic take on vases, pots and other vessels attracted me along with legions of early admirers. Trained as an art historian, Frances found her passion in working with her hands, first as a printmaker and ultimately as a potter. But it isn’t just art that informs her educated eye, but also her garden and her kitchen. 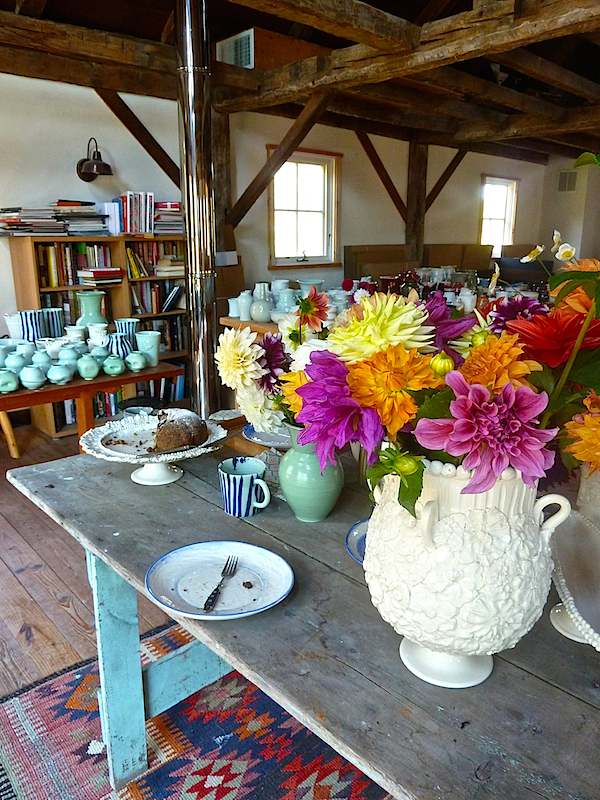 Whether cultivating her magnificent dahlias, cooking a tempting treat or working at the wheel, it’s the process of bringing her ideas to fruition and the satisfaction of sharing them that drives her creativity. 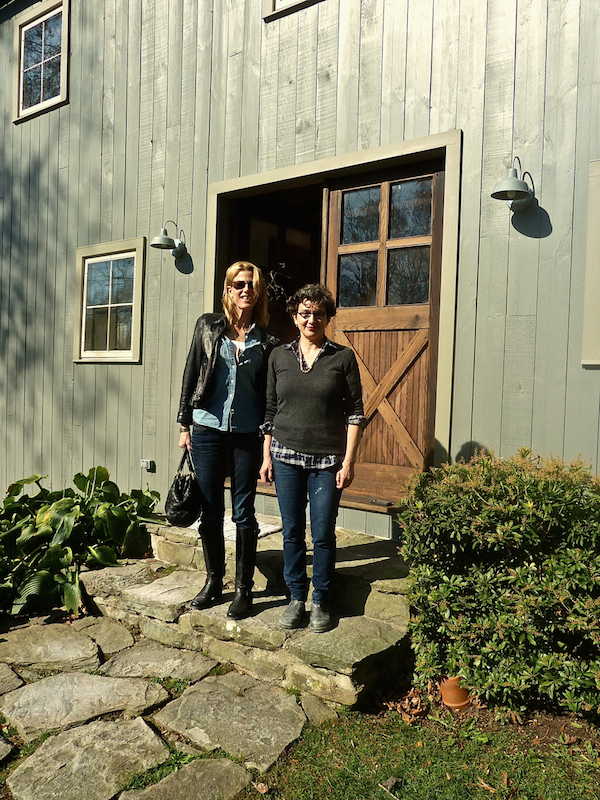 Susanna and I were thrilled to visit Frances in her charming barn studio and garden. Join us for a behind the scenes video peek at what makes this talented artist tick. One of the reasons Frances’ work is so appealing is because it is so very personal. Each piece expresses its own thoughtful personality. And while Frances approaches her work methodically and consistently every day, she also knows and embraces her medium, guiding it, but letting it guide her as well. The results are magical. Frances is passionate about flowers and they inform much of her work. 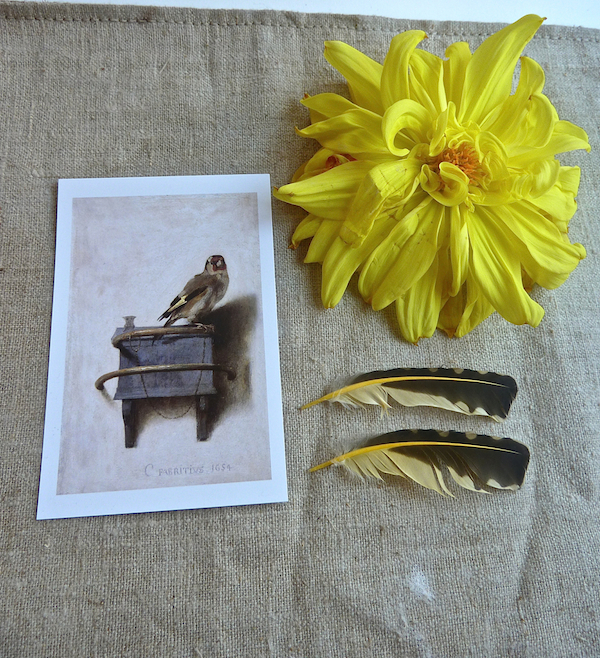 Anyone who follows her on Instagram (as everyone should) has had the opportunity to appreciate her glorious gardens and her exquisite still lifes, such as the one she was preparing during our visit, below. Like all true artists, she not only looks but sees; sees connections in form and meaning, color and texture, past and present. And although she relishes her solitary time in the studio, Frances is also an avid cook and enthusiastic host. Entertaining provides another opportunity to share her passions and love of the homemade – her work, her garden and her culinary creations. 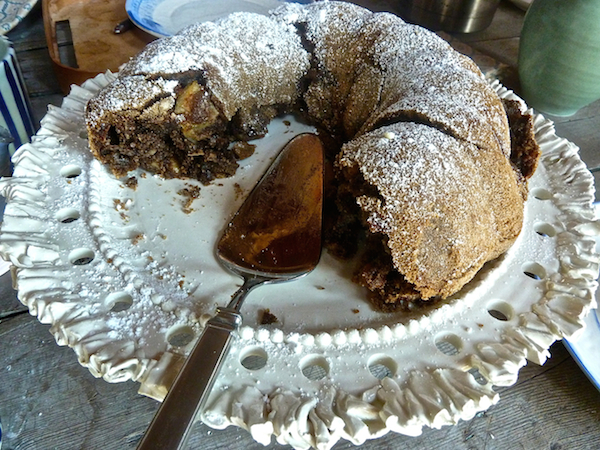 Frances served us the most unbelievably delicious cake, below, looking even more delectable on one of her custom plates (recipe at end of post). 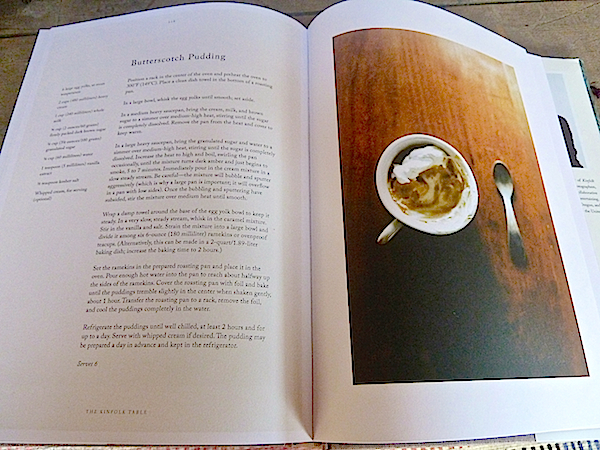 In fact, Frances’ culinary skills have been documented in The Kinfolk Table, to which she contributed recipes for a roast chicken and butterscotch pudding, pictured below. 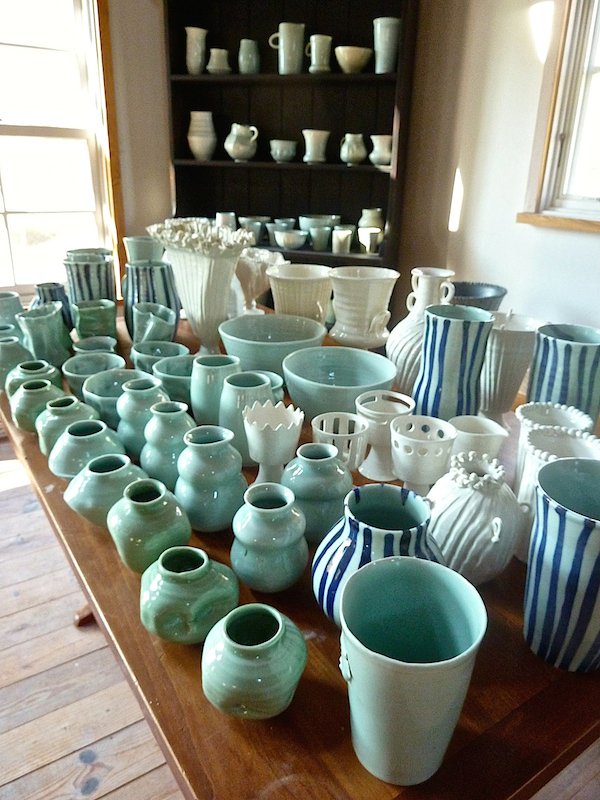 Many other collaborative opportunities have come her way, including a collection for the Terrain store in Westport, CT, for whom she made the small porcelain vases in front below. Sometimes a commission sets her on a new path as was the case for the marbleized pieces below, originally requested by editor Virginia Tupker for a piece in Vogue. 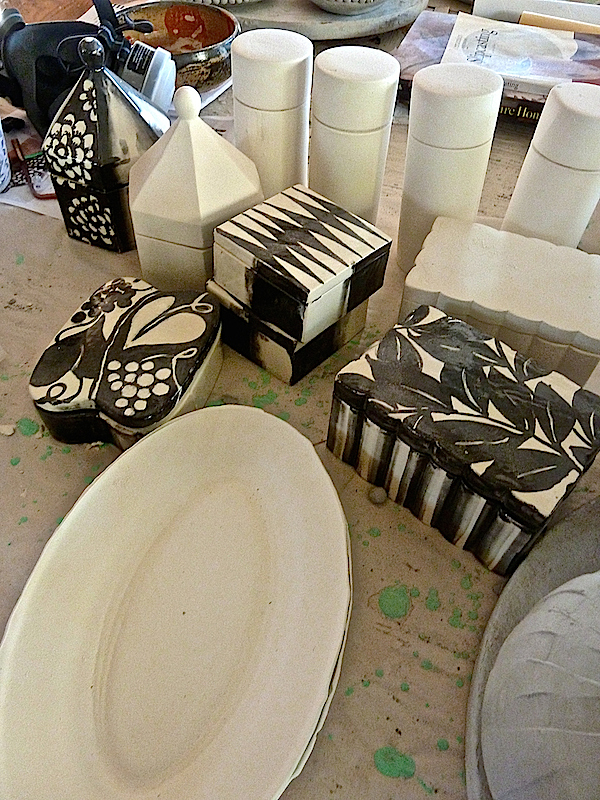 Renée Price, the style savvy Director of the Neue Galerie, commissioned these charming black and white boxes, among other items, for their excellent museum shop. And there have been many others as well, along with countless private commissions, which account for a large portion of her work. We are so inspired by your talent and generous hospitality! Preheat oven to 350°F. Butter and flour a 9-inch tube pan. Beat the oil and sugar together in a mixer (fitted with a paddle attachment) while assembling the remaining ingredients. After about 5 minutes, add the eggs and beat until the mixture is creamy. Sift together 3 cups of flour, the salt, cinnamon and baking soda. Stir into the batter. Add the vanilla, apples, walnuts and raisins and stir until combined. Transfer the mixture to the prepared pan. Bake for 1 hour and 15 minutes, or until a toothpick inserted in the center comes out clean. Cool in the pan before lifting out. Serve at room temperature with vanilla ice cream or whipped cream, if desired. Frances assures me this ages well, but you won’t have to worry because there won’t be any left!! This entry posted in art, food and drink, garden, In the Studio with, interior design, Quintessence video series, Stylish Shopping. Entry Tags: Ceramics, design video, Frances Palmer, In the Studio, pottery Bookmark the permalink. Another perfect way to start the morning. Thank you for a great video! Wonderful! I’ve been an admirer of Frances since I came upon (and saved) a lovely feature article about her in Country Home(?) many years ago. Such a beautiful place in the world and such gorgeous work! Thank you. 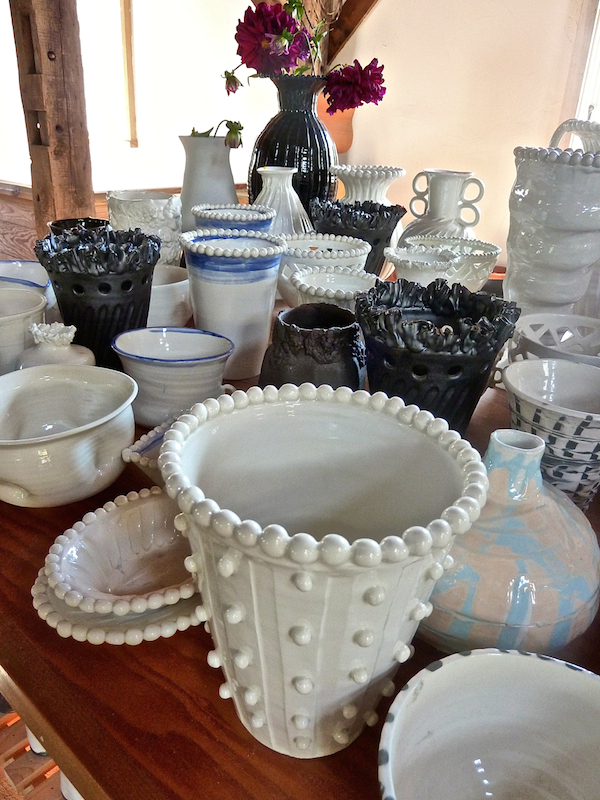 . .
Stacey and Susanna I have always loved Frances’s works of pottery art. What surprised me is the scope of her designs, many I had never seen until now! Thank you so much! Great video as always! loved this visit! it was fantastic! made me want to learn how to use a potter’s wheel! what a talented artist! her flowers and garden were delightful as well. thank you for sharing such a wonderful post. can’t wait to go shopping on her site! Loved this. These videos are really wonderful. We love Frances and even share a birthday with her. She’s an amazing artist and as lovely as her work (and she really is a great cook!) 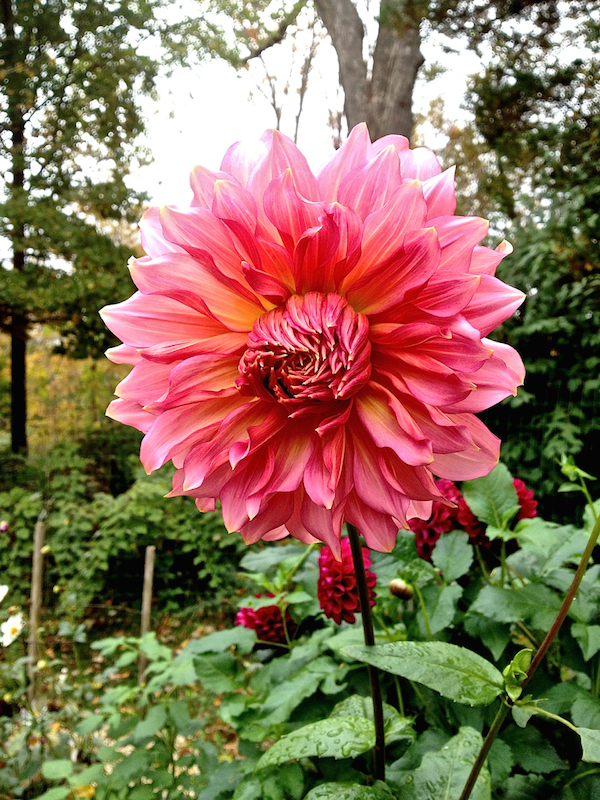 Her garden is so special and her dahlias, famous. Have a fun Halloween, Stacey, and thank you for this treat. I only just had a chance to watch now and I am awed and inspired. Frances is so talented and I adore the breadth of her work: what seemed to be a black matt vase and the one with the cast flower ornamentation. Another wonderful piece from you and Susanna. How truly inspiring the genuineness of Francis Palmer and her lovely work!!!! 83 queries in 0.600 seconds.